Last night, August the 4th 2011, at the Teatro Signorelli, Cortona, the performance Seduction, Smoke and Music took place, starring Jeremy Irons and his wife the Irish actress Sinead Cusack, replacing the forfeiting Sharon Stone. 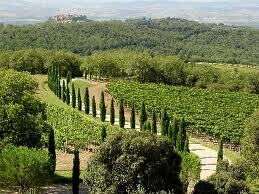 (see the blog of Tuscany Holiday Rent about the Tuscan Sun Festival of July the23rd ). The real-life couple staged the troubled love story between Chopin and the writer George Sand. When they met, he was a Polish twenty eight year penniless pianist, already undermined by tuberculosis while the sexually liberated writer was 34 . Their affair lasted ten years, rich in exchange of love letters, partially burnt after his death. From them and from unpublished documents the performance came out. 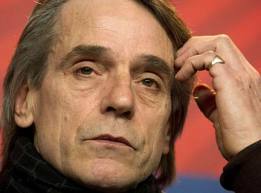 Jeremy Irons stepped easily into the musician’s soul – he says- just listening to the first notes of Chopin’s music. Theatre, music, ballet and the magic spot, Cortona ,conjure up the miracle, according the actor’s words. He, as well, underlines his attachment to the beauty of this Tuscan corner, where the only walking among its narrow street seems to him a real charm. He still wonders about this small town, completely saved from the ravages of the second world war. He goes on lingering on his father’s memories who would have liked to have here a good retreat. Since the times of J. Iron’s starring Bertolucci’s Io Ballo da Sola, he has always been in love with this unspoilt landscape, so different from his industrialized England. He will always be pleased to come back here, available to any interesting proposal, which , we suppose, won’t be late. Questa voce è stata pubblicata in Festivals and feasts in Tuscany. Contrassegna il permalink.